Posted byMei 17 August, 2011 2 March, 2019 1 Comment on Does Music Help your Baby Sleep Better? 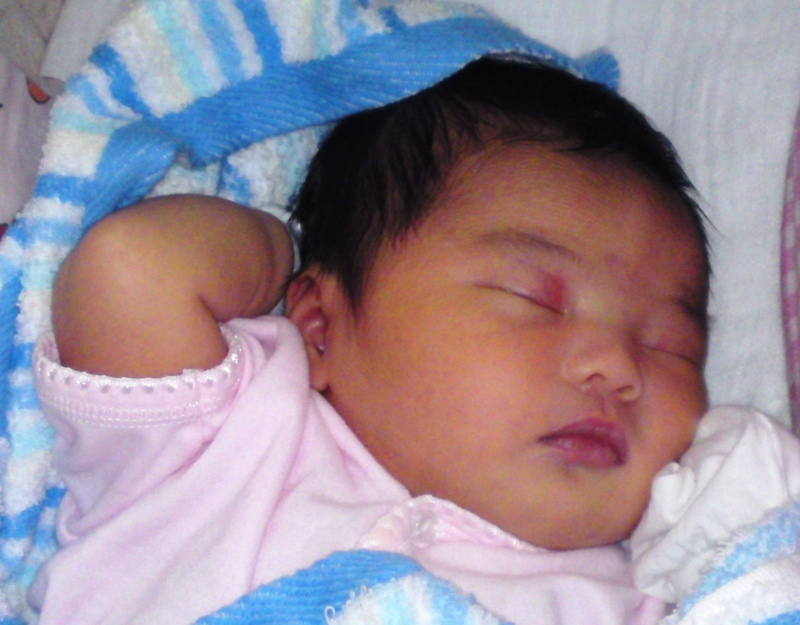 Baby Sleeping – Was she scratching her head? 1. We all know that music affects our mood and reduces stress (provided you are not listening to noisy music that stresses you out). As stress is a fairly common trigger for eczema, it is good to listen to music that relaxes your child. 2. There are several testimonies given by parents and sleep therapists that children sleep better with music and also can fall back asleep at night when music is on. 3. Bringing the familiar music on a holiday trip may help your child sleep better in a new place. 4. Research suggests that plant flourish better with classical music than noisy rock/punk music. While music seems to be all good, do take care in your choice of songs; too simulating music is not recommended. Repetitive and simple music is best, and must be something that you can listen to every night. Some even recommended listening to nature sounds ‘white noise’ such as waterfall and raindrops that mimic the rhythms in the mother’s womb. If you just google “music baby sleep”, you will find MANY websites offering music that will put your baby to sleep (this website says that hospitals are testing out their CDs). I haven’t purchased any of such CDs as I prefer to have my baby listen to Christian music and so far it has worked great for my sleep too. I suggest that we as parents relax a little, listen to some music and whatever makes us happy and sleepy may do the same for our children. Tips from RealSimple – solving a range of kids not wanting to sleep issues!